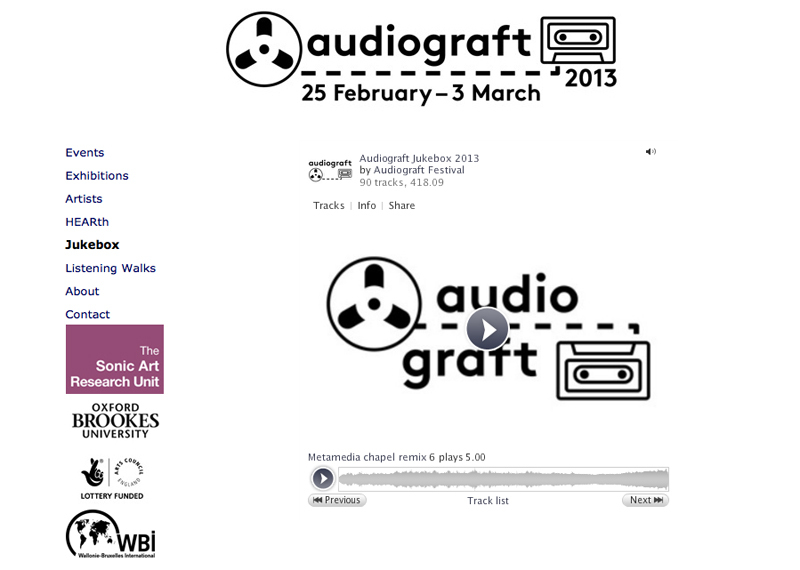 DIVAcontemporary co-directors Mandy Rathbone, David Rogers and Joe Stevens (metamedia) collaborative work ‘chapel’ selected for audiograft jukebox. This entry was posted in ambient, associate artist, audio, links, partnerships, soundscape. Bookmark the permalink.